JU,S Juridico Social hasn't added a story. Give a voice to them by supporting JU,S Jurídico Social in providing legal representation and support in order to bring accountability for these crimes. JU,S is initially focusing support to those living in Oecusse, one of the regions of Timor-Leste more isolated and with the lowest indicators of poverty, education and nutrition. In Timor-Leste the capacity of the prosecution services and the policing authorities to actively promote justice is still limited. Legal support directly to victims have shown to bring about key progress in ensuring accountability to gender based violence and crimes against children. Your small support will make a big difference and allow us to dedicate sufficient time and personnel to represent the interests of victims before public authorities. With your contribution we can provide support integrated legal support, including drafting legal demands and other court documents, referring to social and psychosocial support, representing them during any proceedings and any other activities required to ensure their voices are heard and justice is found! 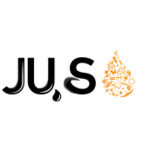 JU,S is a social enterprise established in 2018. JU,S provides free of charge/pro bono support to key causes which can bring about systemic changes in Timor-Leste. JU,S Juridico Social hasn't posted any updates yet. JU,S Juridico Social is managing the funds for this campaign.